Controversy surrounds the debate about when the titles of individual Psalms were incorporated into the text. Some say they belong to very early editions, whilst other scholars disagree. Setting that aside for a moment, we can say with certainty that the heading, which appears at the top of Psalm 51 is historically accurate. We know this from 2nd Samuel 12. The prophet Nathan goes to David and challenges him wisely and winsomely about the king’s illicit sexual involvement with Bathsheba and the hand he played in the demise of her husband, Uriah the Hittite. So, in reality, if it were not for the concern and courage of a friend who was prepared to speak out against what was wrong, David might have continued on his sinful path, and we would never have benefitted from the words of this great Psalm. Clearly, the LORD has many different ways of communicating with His people. 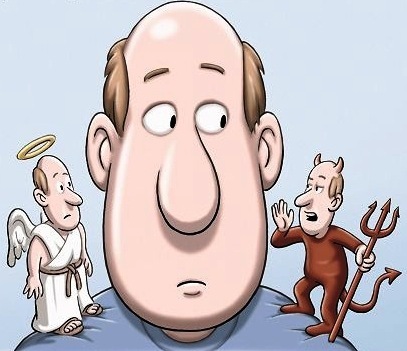 But, often His word of encouragement or rebuke does comes to us through another individual, whose opinions we respect. How is God speaking to you today? What is He saying? And, are you prepared to listen, as well as align your life with His truth? Or, just maybe you are the person whom God is calling to be the conscience of a friend you see headed for trouble. Ask the LORD to give you the opportunity and grace to speak the truth in love, bringing a good thing out of bad. Following God’s timing and His leading, it may even be possible for you to intervene before things become really unpleasant for everyone involved. “Then you will delight in the sacrifices of the righteous, in burnt offerings offered whole; then bulls will be offered on your altar.” (Psalm 51:19 NIVUK) If you’ve been following through on this series of reflections over the past four weeks, you are possibly wondering why this verse even appears here. We dealt with “burnt offerings” and “sacrifices” days ago, making it clear that God is more interested in the heart of worshippers than anything they bring in their hands. However, one word makes this verse an apposite conclusion to this wonderful Psalm of penitence and praise – THEN! There it is, right at the start of the verse – THEN. David has learned a truth and wishes to share it with others. It is only once a person has recognised and repented of their waywardness, receiving the forgiveness of God and regeneration by the Holy Spirit, that they are THEN made ready to renew their commitment to serve the LORD. 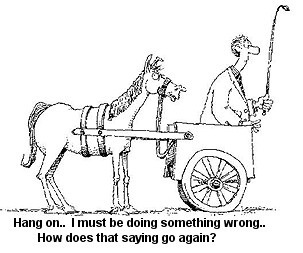 A phrase, which was commonly used in the past helps us to comprehend this – “Don’t put the cart before the horse.” Christian deeds follow Christian declarations – positive behaviour comes out of belief – faith ought always to precede works. This is the opposite to how many folk live, where they think that, by their kindness to others, they will somehow win the favour of God – NO! It’s actually the other way around; what we do for Christ daily in the building of His Kingdom arises from what he has already done for us. Our good deeds are a way of expressing our gratefulness to God for WHO He is and WHAT He has wrought in us. 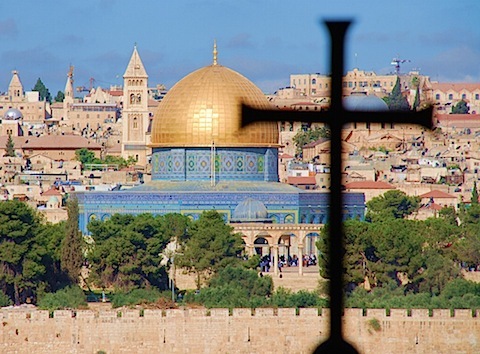 Adherents of three world religions – Christianity, Judaism and Islam – all look upon Jerusalem as a Holy City. And, without doubt, anyone who has visited its walls and wayside markets, spending time with its people (despite the many challenges they face daily), cannot fail to be impressed by the inherent spirituality of that place. So much of what is there resonates with the life and ministry, the death and resurrection, of Jesus two thousand years ago. And, long before that, in the time of King David, the city was already a central focus for God’s people. Mention of its walls in this verse is a reference to its safety and security, acting as a haven for the oppressed. Furthermore, use of the name, “Zion” is a way of speaking in the present and future tenses. Historically, Zion was the mountain of God and a metonym for Solomon’s Temple. Prophetically, the term looks forward to the eternal Kingdom of God and the coming of Messiah. David seems to understand that the themes of sin and salvation, repentance and redemption, which he develops in this great Psalm, do not relate to him alone, but to everyone, past, present and future. This is a message that spans millennia, crosses cultures, and offers unfailing hope to all who believe in the LORD. “Sorry” is a word rarely heard these days. Even when said, it is often fleeting and accompanied with an inappropriate smile. 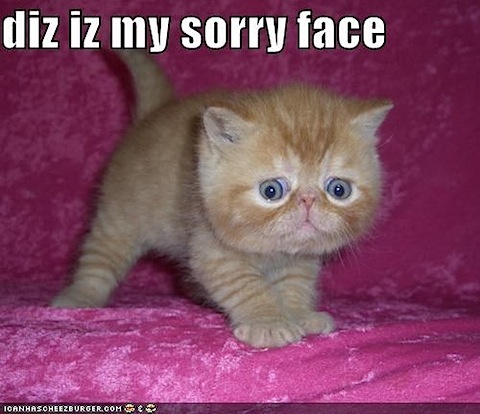 Sometimes, therefore, I rather cheekily say to the person, “Perhaps you can practice your sorry-face!” Most folk laugh it off and just don’t get it. But, what I’m really trying to do is remind others (and myself) of the truth that to be truly sorry surpasses a spoken word alone. Sorrow (what David calls contrition) goes deeper than a grudging apology. It is more serious than simply being embarrassed to be found out. Sincerely sorry people say so from their hearts – they are affected deeply by what they have done, and are determined not to repeat their failings. They aim at doing better next time, for their own sakes and for the sake of those whom they’ve hurt. That’s the kind of “sacrifice” God honours, rather than the routine and ritualistic type we were thinking of yesterday.